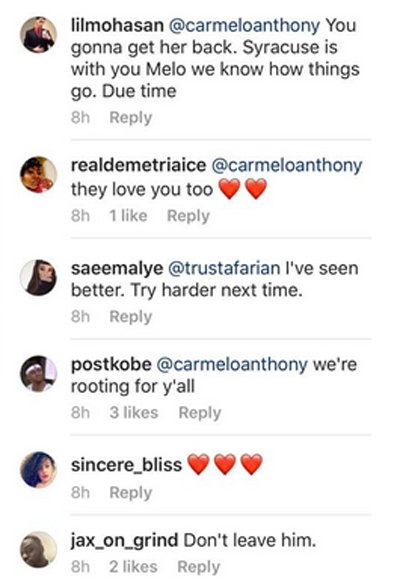 Carmelo Anthony is still shooting his shot at a reconciliation with his estranged wife LaLa Anthony and fans are chiming in about it. More inside…. 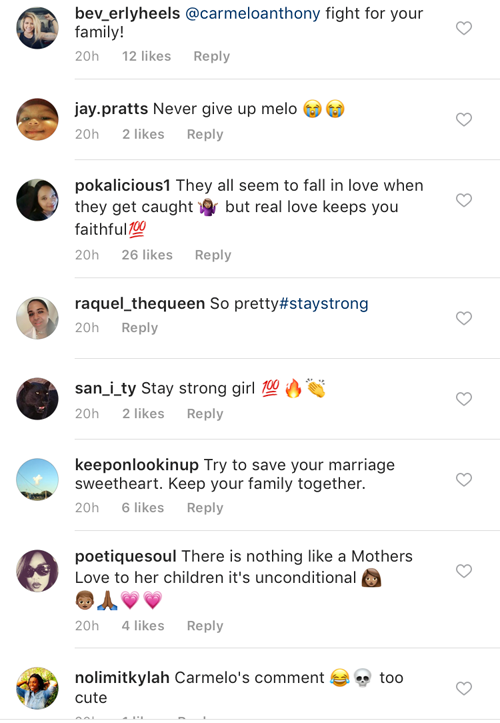 NBA baller Carmelo Anthony is still stalking his estranged wife LaLa Anthony’s Instagram page after news hit that they were separating last month. 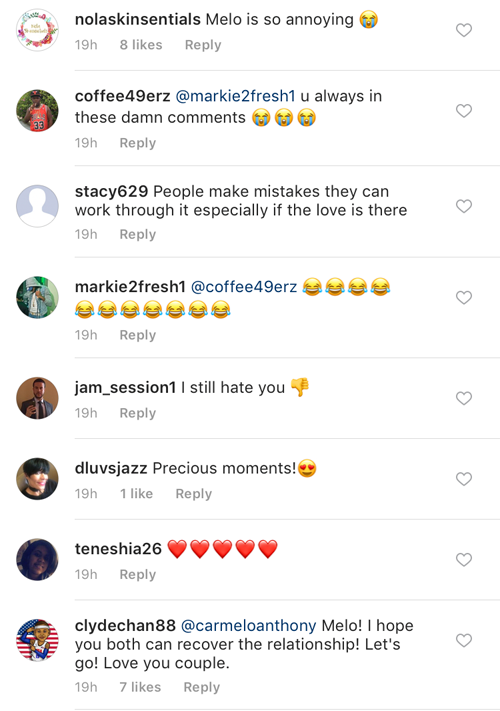 The NBA baller hopped in La’s comment section and responded, “Love y’all.” Hmph. This isn't the first time he has popped up in her comments section since their uncoupling either. Rumor has it, not only did Melo allegedly cheat on La, but he also allegedly got another woman pregnant. 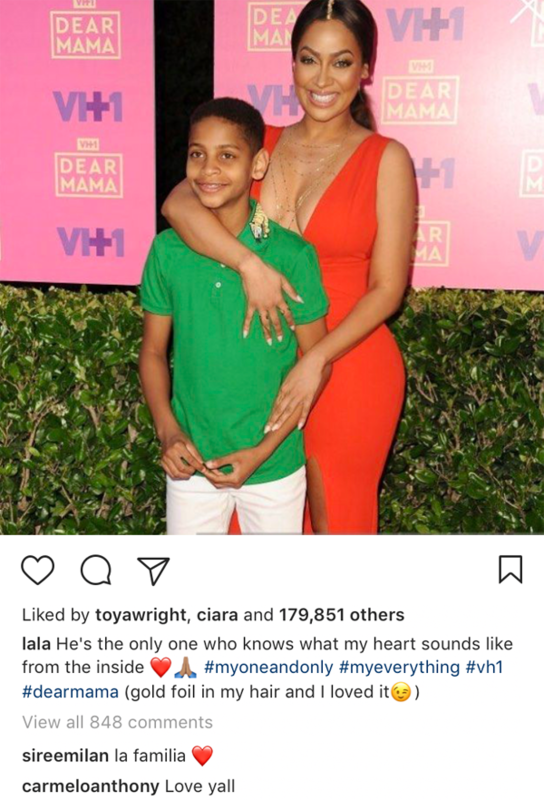 While on the carpet at the "Dear Mama" event, La spoke out for the first time about how she’s dealing with the break up from her estranged husband. Do you think La should give him another chance?